Names are important, I think. 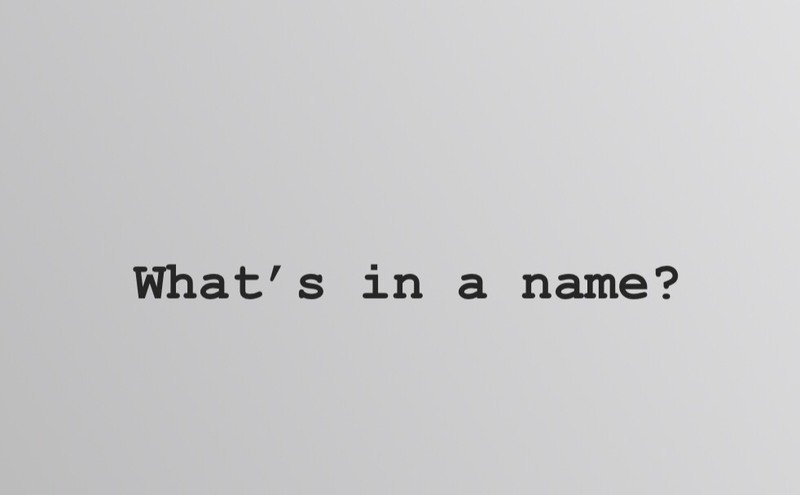 I’ve touched on this topic before, and why I feel this way, but it really comes down to the belief that names influence personality, how we’re perceived by others and perhaps even our physical appearance. If your name is Jennifer, Jessica or Matthew — chances are, you get called Jen, Jenny, Jess and Matt on rotation with your given name. So, you’re used to having multiple names and it’s a part of who you are. I’ve always been Amanda. My mom has maybe called me ‘Mandy’ here and there while growing up, usually when calling up the stairs to me or something. But, I’ve never been known as Mandy to anyone in the 37 years I’ve been on this planet. Now, for some reason I’m trying to understand — I feel as though I’ve missed out, for lack of better words, on a parallel life. I wonder how my life would have been if I was Mandy. As Amanda, I’m an overanalyzer, a bit of a worrier, a perfectionist and, at times - hard on myself. I wonder if Mandy would be more carefree, easygoing and ‘shrug, I’m human’ about a lot of things in life. As Amanda, I like to think I have a quick wit, sharp tongue (not totally proud of it), and pretty well-rounded sense of humor. Would Mandy be funny, always ready with a sarcastic, lighthearted comeback — or would she be more of the ‘smile and laugh and keep it to yourself’ type? What about her style? Would Mandy prefer a more bohemian look? Would she be a vegan? Would she prefer longer nails and a pixie haircut? And, what about life goals? Would Mandy have made different choices? Would Mandy know the same people, love the same people and dislike the same people? Would the same people love her? The questions and possibilities are endless, really. And, of course, everyone is who they’re supposed to be, in the life they’re supposed to have, I think — with the power to change/reinvent whatever they wish to. It’s just fun to think about someone else who is also yourself (and weird if you think about it too long). Also, don’t even get me started on who Mandi or Mandee would be.